This small outdoor kitchen is big on function – and style. 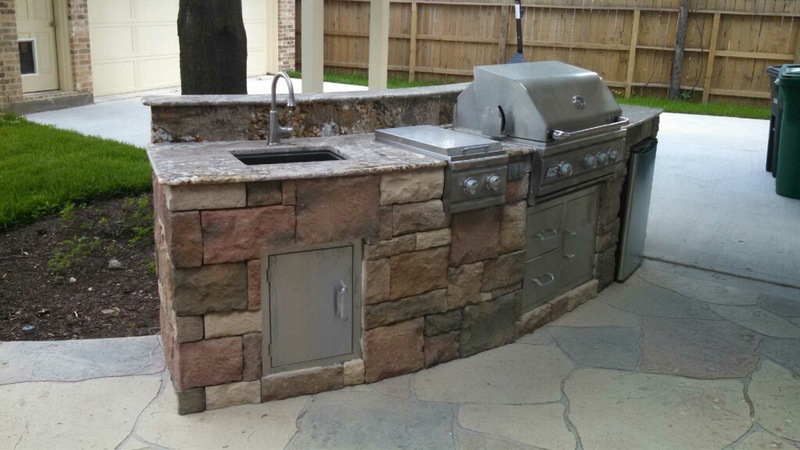 “This compact outdoor kitchen island has a really nice look, with materials I haven’t really used before,” says Wayne Franks, owner of Outdoor Homescapes of Houston. The exterior walls, he notes, are a dry-stacked Tuscan Valley limestone. The countertop is Normandy granite. 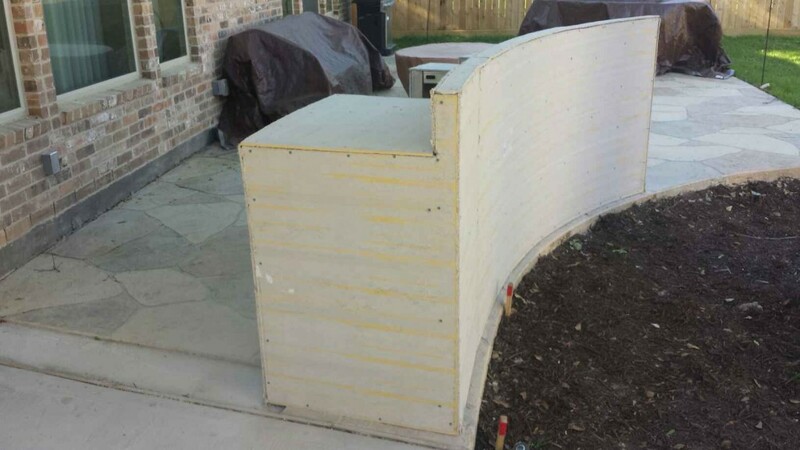 A “skin” of HardiePanel (fiber cement siding, which can handle the high-heat of grills better than wood) is then put over top of the frame. This creates a cabinet for appliances and storage. 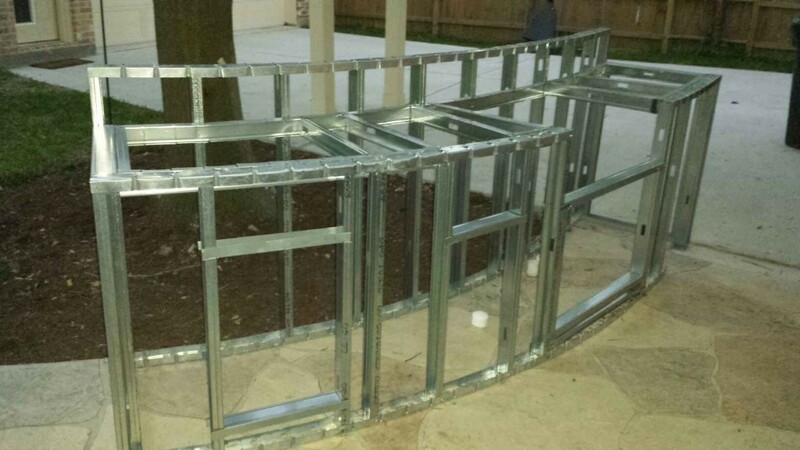 A HardiePanel “skin” covers a segmented, curved metal frame before stone walls are built on the exterior. Tuscan Valley limestone is drystacked into exterior walls. Finally, built-in appliances and stainless steel storage are added. Looking for small-space kitchen designs in Houston? Check out our photos of small-space outdoor kitchens. 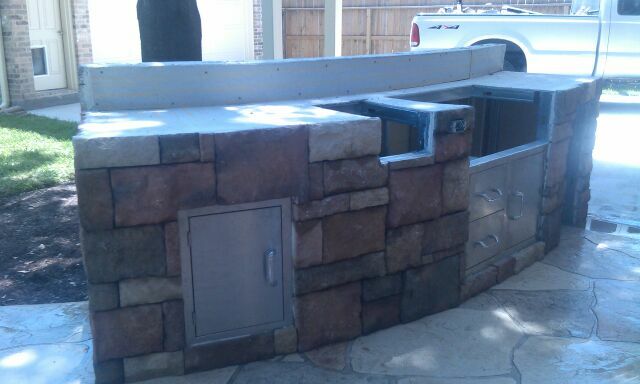 You can also browse the small outdoor kitchen photos on Houzz. Or, if you know what you want and are ready to get started, just contact us! We’ll get the ball rolling!